Published on Friday, May 6, 2016. One of the oldest pieces of machinery at Faribault Woolen Mill Co. is this carding machine from 1905 that's still in use. Photo: Courtesy of Faribault Woolen Mill Co.
Our spring ACC Library Salon Series continues on May 11 with heritage manufacturers Faribault Woolen Mills and Nordic Ware. We caught up with Bruce Bildsten, a partner in Faribault Woolen Mills, and Jennifer Dalquist, the director of sales and marketing and granddaughter of the founders of Nordic Ware, to learn more about the history and mission of their companies – and their favorite heritage equipment. Recently the governor honored both Faribault and Nordic Ware with respective days celebrating their longevity as Minnesota brands. Can you tell us what it’s like working for a historic company? Jennifer Dalquist: It’s definitely a great source of pride. When I walk into the office each morning, I pass a picture of my grandfather, H. David Dalquist, who (with my grandmother) founded our company in a basement 70 years ago. The picture is from the very earliest days of our business, and you sense from it that our beginnings were very humble. I glance at that photo every day as I walk in, and it not only makes me smile, but gives me a sense of purpose: What we have created here with Nordic Ware is something very special, which requires continual attention and nurturing. I have a sense that I need to preserve what’s been created in the first 70 years, but also look for ways to evolve and stay competitive over the next 70 years. On a more humorous note, the most common comment I hear from people when I tell them I work at Nordic Ware is: “Ooh! I have a [Harvest Gold or Avocado Green] Bundt pan I inherited from my [mother or grandmother]. Do you know what year it was made, and is it valuable?” I have gotten this dozens of times. Bruce Bildsten: The word we all use is that it’s an honor. Everyone at the mill feels like it’s more than a job. We’re all part of a legacy and feel a tremendous amount of responsibility to live up to that. What are some of the ways in which Faribault and Nordic Ware continue to incorporate elements of the handmade into their design process? Dalquist: We say that over a dozen sets of hands, on average, touch our items from start to finish in our factory. We are not a highly automated factory, which surprises a lot of people. Our employees are still makers and craftspeople – experts in their field. Our engineering and design team, as well as our creative/graphic design and photography teams are all in-house. One literal way that we incorporate the concept of handmade is with one of the ways we design products, which is through drawing and digital sketching, modeling, and 3D printing. Each designer has their own unique way of creating new products. Additionally, many of our products (especially baking ones) are used for food crafting, such as intricately decorated cakes. So in a way, we create products that allow consumers to put a handmade touch onto the food they consume. Bildsten: Even though our mill is mechanized, there isn’t a single step of the assembly process that doesn’t require craftsmanship. There isn’t a single machine that can just be turned on and then the operator walks away. Both Faribault and Nordic Ware advocate the importance of community – internally, regionally, and beyond. What are one or two memorable ways that you have engaged with your communities? Dalquist: Internally, we try to involve people from every area of our company – including the factory – in our new product ideation process. One per year, we hold an off-site meeting where we break into small teams of four to five people and present new product ideas we’ve dreamed up. We create prototypes, marketing materials, and a compelling story, and then present our ideas in a live skit format in front of the group. Wonderful ideas come from it, and it’s a great way to create an even closer bond in our internal team, in a cross-departmental way. People from our finance area, sales team, IT department, and factory come together on teams in a way that breaks down barriers and eliminates a workplace hierarchy that some companies have. Regionally and internationally, we make a concerted effort to connect with customers and fans via social media outreach. No comment or question goes unanswered, and anyone who tags @nordicwareusa or #bundtstagram on their photos gets a reaffirming response back from us about what a beautiful thing they’ve created with our product. We run contests throughout the year that are open to people around the world and invite them to get to know our brand better. Currently we’re running a Honeybee promotion, wherein we will donate 25 cents to the University of Minnesota Bee Squad to help save honeybees every time someone watches a short video clip we created on Bee Cookies. It’s little things like this which let our consumers and fans know that there are some authentic, kind, and caring humans behind our brand. Bildsten: First, the mill has always been and continues to be a source of good jobs in our small community, and often those are lifetime jobs, as we have many employees with 30, 40, and even 60 years of experience. Secondly, we are the largest draw for tourism to our community. Our mill is a mecca, drawing thousands of visitors every year. And that brings important revenue and jobs to our community. Finally, we’re a source of great community pride. What is the coolest and oldest piece of equipment you have onsite? Is it still in use? Dalquist: We have an oven dating to the early 1960s, and it's still in regular use. It's called a Ferro oven and is approximately 50 feet long. 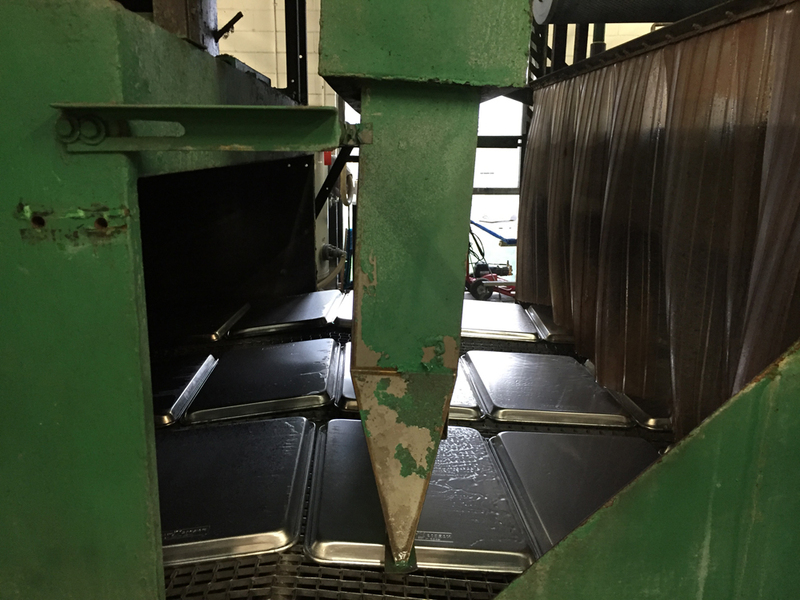 Similar to the cleaning machine, a conveyor belt runs parts through a 500-plus degree oven to cure coatings. This also still runs like a top. We also have a giant industrial washing machine that cleans production oil and dirt off of products before we apply coating to them. It dates back to the late 1950s, but still works like a charm. Not the most glamorous, but it's very authentic and has been with us for more than 50 years. Bildsten: Likely it would be a carding machine dating from 1905 that we still use nearly every day. In fact, our newest carding machine was made in 1922. They’re so well built, and they contribute to the unique “hand” of our products. They’re irreplaceable. What part of your company’s mission resonates most strongly with you? Dalquist: Our commitment to providing jobs for American workers. It’s something my grandfather, Nordic Ware’s founder, was extremely proud of, and this focus runs deep across all three generations of our family. It’s gratifying to know that we’re providing meaningful jobs and income for more than 300 individuals who work for our company (which in turn impacts the well-being of their families and dependents). Not only that, but by sourcing most of our raw materials domestically (even locally in the Midwest where possible), we are positively impacting hundreds of other vendors and suppliers. Keeping jobs in America hasn’t been an easy path for us – the 1980s and 1990s saw most of the competitors in our industry move their factories overseas in search of cheap labor and fewer regulations. But we stuck it out here, because it’s in our DNA – it’s the fabric of who we are at Nordic Ware. Bildsten: Legacy. We make products that are made to last for decades and to be passed down for generations. In fact, that’s why we created the Faribault Memory Mill. 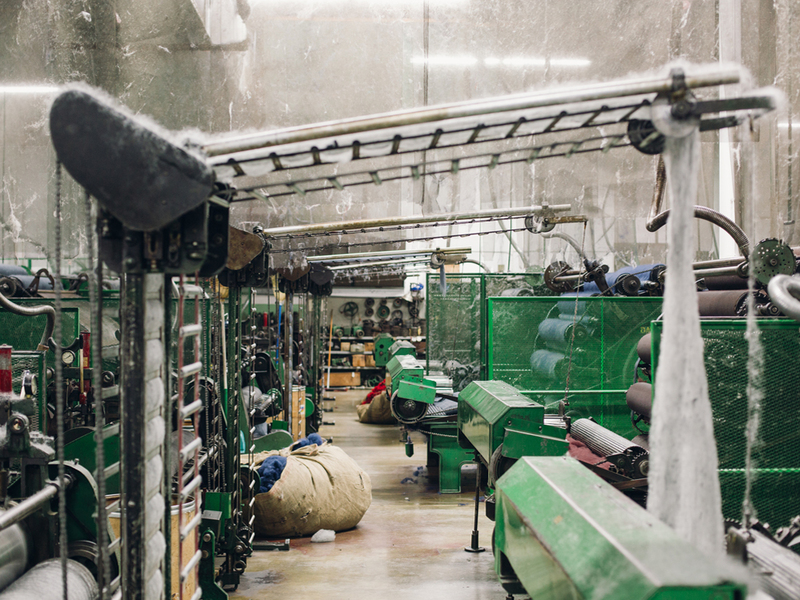 Don't miss our salon – Heritage Manufacturing in Minnesota: Faribault Woolen Mill Co. and Nordic Ware – on May 11, at 7 p.m. This event is free and open to the public. Presented by the American Craft Council, the Library Salon Series is a series of free public presentations exploring craft, making, and art. Check out past salon series events. Five Questions is a brief Q&A about books and craft, with people who love and use the American Craft Council Library.